The IP PBX system is hosted in state of the art secure data centers. 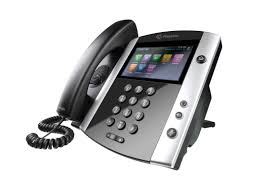 All you need to do is plug in an VOIP IP phone and it uses the internet to connect to the IP PBX. Reduced Total Cost of Ownership (TCO) due to minimal upfront investment and low monthly service fees. Companies that have switched have saved Thousands of dollars. Simplifies your Disaster Recovery and Business Continuity by enabling dial tone and presence anywhere you can get an Internet connection.